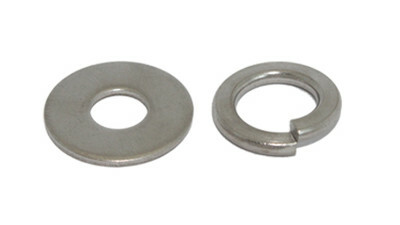 Hex Head Bolts (also known as Engineers Bolts) have a hexagonal head and have a plain shank between the base of the head and where the thread begins. Hex Head Setscrews can be described as a fully threaded Hex Bolt, meaning its thread begins under the hex head and is continuous along the full shank of the bolt. 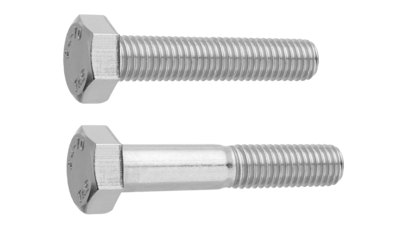 The Hex Bolt and Setscrew range are made to tensile strength classes of either Class 50,70,80 (304 and 316 - but depending on size) or Class 100 (Bumax). 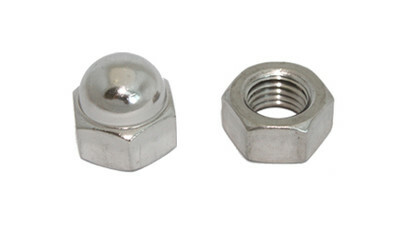 See Stainless Bolt Strength Data. Refer to the tables below for head dimensions, thread pitch and lengths.